A highly challenging scenario of escalating technological innovations has created the need for enterprises to interpret their lapses and arrive at solutions to ensure business success. 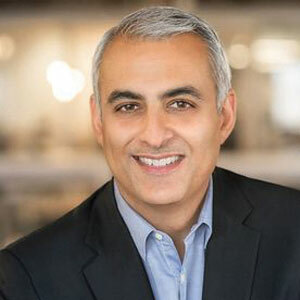 “Enterprises are under immense pressure to deliver growth through rapid software innovation to meet the high expectations of a new generation of connected customers,” says David Wadhwani, president and CEO of AppDynamics. A global call for software remodeling which can yield high-end results for the booming application management industry has become the need of the hour. AppDynamics has responded to this call through its Business iQ platform that manages the performance and availability of applications with emphasis on the cloud and data centers. AppDynamics, a San Francisco-based company, has been creating strong technological tides in the application management industry, where it delivers access to every layer of business and operations and helps in formulating better business decisions. By harnessing the power of application intelligence, AppDynamics can effectively manage operations and enhance the user experience and business prospects of software applications. Their constant probing for innovations has paved the way for the Business iQ platform, a powerful engine that monitors applications and the associated business performance. “By leveraging the power of analytics on metrics collected from the applications at critical intervals, Business iQ ensures the operations are managed flawlessly,” explains Wadhwani. The software analyzes the performance and outcomes of businesses and optimizes them for better user experience. It bridges the gap between businesses and IT, building reliable business networks. Business iQ analyzes millions of codes that are generated by the connected devices, reads through every line of code and debugs it, providing application intelligence to the apps and allowing them to function productively. A faster Mean Time to Business Awareness (MTBA)—an operation metric that is vital—for enterprises is ensured by Business iQ. With billions of investment lost every year and customers switching over due to performance issues, MTBA efficiency can help in projecting IT organizations as customer-friendly, sufficing the increasingly high expectations of clients. EAN, one of the world’s leading online travel companies, has a global footprint in over 33 countries and manages travel bookings for millions of customers. Owing to the nature of the industry, it was very crucial for them to have a reliable system, which could monitor and detect performance problems across nations and continents. But their monitoring tools left EAN reeling under the heat of leaving the market open, as problems detected never had answers for the root cause. EAN needed a tool that would give them a clear view of their application, find problems and reasons, and solutions to effectively deal with them. EAN incorporated AppDynamics into their model, and they were able to identify the problems and also prioritize them. Mulholland, Operation Architect at EAN, tells how they found many problems in the upstream business workflow and got them fixed before it affected their partners and customers, which made them more proactive and allowed them to shorten their time to response significantly. The accuracy of AppDynamics allowed EAN to transform into a much more successful enterprise. With software changing the dimensions of the business world, AppDynamics along with Business iQ has met the need for innovation and plays a significant part even during demanding situations.